Research group STRaDe is a part of Department of Intelligent Systems at Faculty of Information Technology of Brno University of Technology. 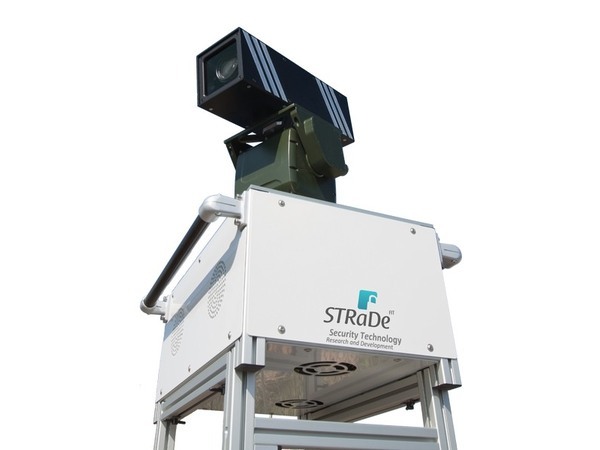 Main focus of the STRaDe group is research and development in the field of security technologies with accent on both hardware and software aspects. Security technologies involve wide spectra of applications and devices. Huge area, which we are interested in, is biometrics whereas we focus nearly on all up to date technologies and metrics - for example acquisition and recognition of fingerprints, eye irises and eye retinas, 3D faces and 3D hands, vein patterns, liveness detection of various biometric characteristics, etc. The second and no less important part of our research is area of sensoric systems and its application in robotics which is our particular research aim itself. In connection with robotics and biometrics research in area of complex intelligent systems is done. Next part of our research activities is video processing and its implementation in hardware (including acceleration in hardware), where it takes a place as computer vision for various systems and applications. 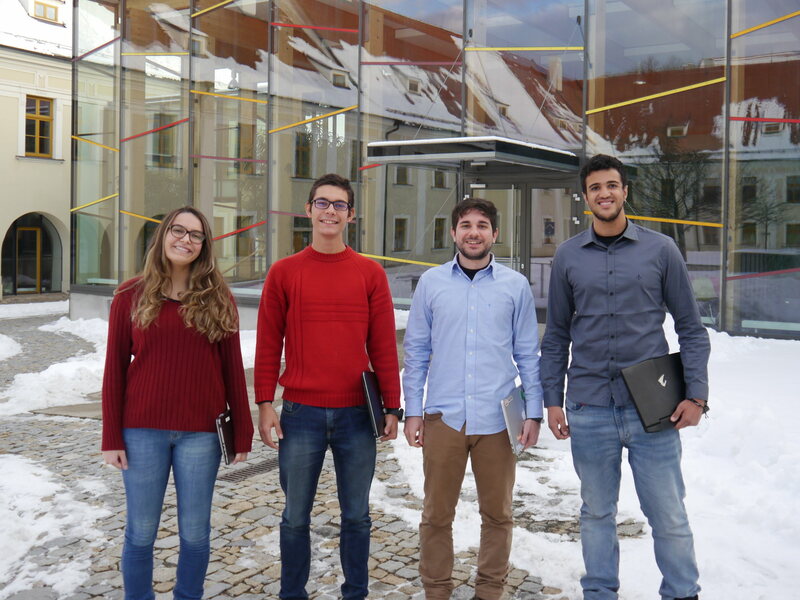 Traditionally, four new Brazilian students have come to visit us in collaboration with INCBAC (Institute of Czech-Brazilian Academic Cooperation), namely Livia, Caio, Rodolfo and Vitor. They work on topics of fingerprint quality, detection of pathologies in retinal images and detection and recognition of traffic signs. They are a benefit to our team and we are glad to have them here. 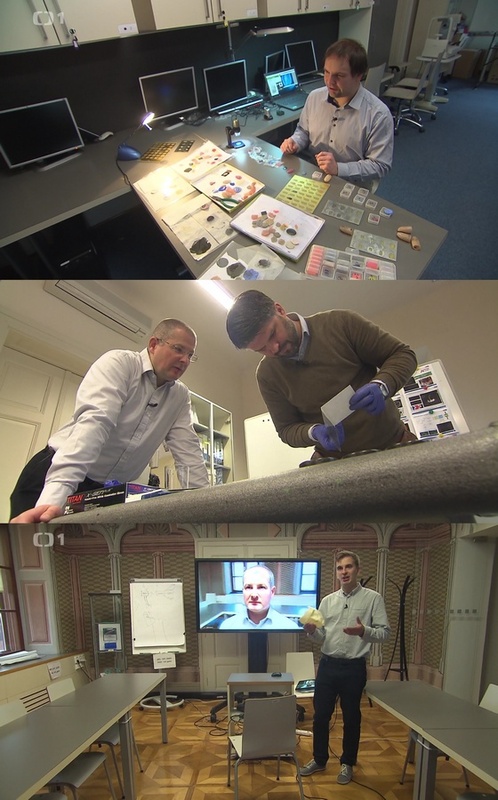 Czech television broadcasted a report about our work in the field of dactyloscopy, fingerprint spoofing, generation of synthetic fingerprints, simulation of fingerprint damages, 2D / 3D face recognition, and generation of 2D face images from the 3D model. At the shooting took place (in alphabetical order): Martin Drahanský, Tomáš Goldmann, Ondřej Kanich and Radim Pernický. If you want to look at the report (available in Czech only), find the link at 16:36, when it all begins. After all, this is also the case regarding the below stated awards we received to our team. 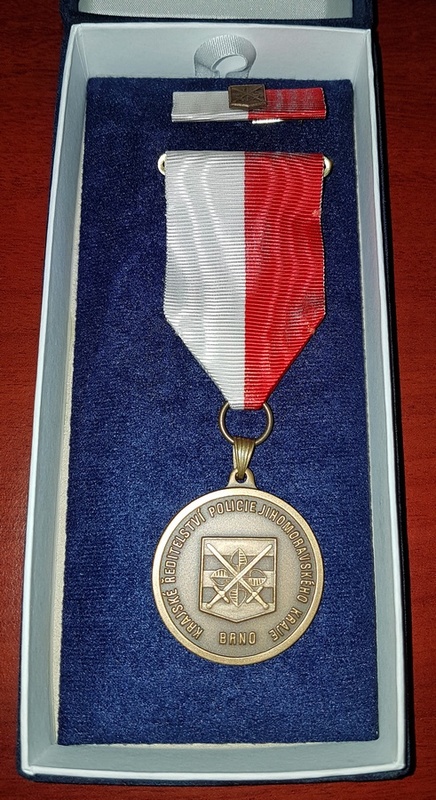 Medal III. degree of the Regional Directorate of the Police of the South Moravian Region received Martin Drahanský. From the hands of Deputy regional director, he received the award for a long-term, excellent cooperation with the Criminal Police and Investigation Service. Our team STRaDe is involved in research, for example, in the field of fingerprint spoofing, liveness detection and the generation of synthetic fingerprints with various damages and 2D / 3D face recognition. Although certain research findings are subject to confidentiality, selected results have already been presented not only by the Czech police and the National Security Authority, but also to some foreign security forces. In the days of 12-15. 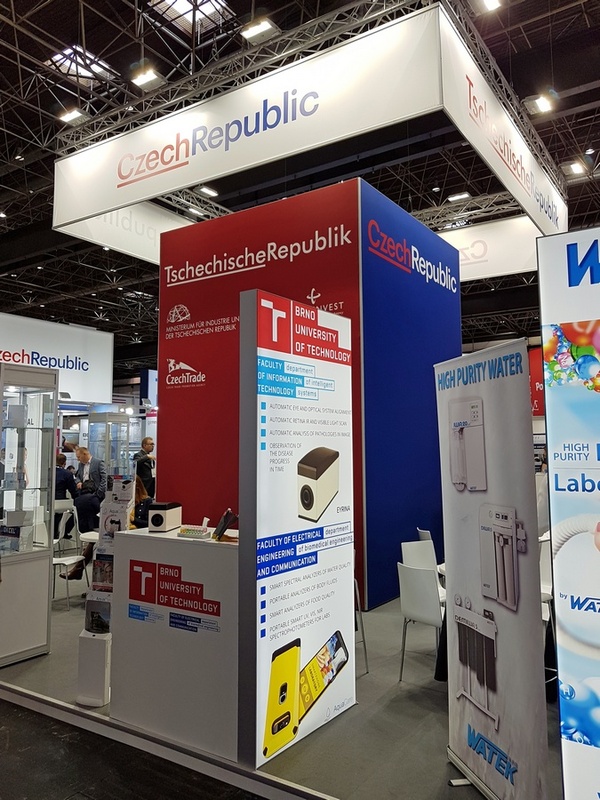 November 2018, we participated at the MEDICA 2018 trade fair, where we exhibited at our stand of the Czech Republic (under the supervision of the Ministry of Industry and Trade) our EYRINA eye retinal scanner, including associated software for detecting and recognizing pathological findings in retinal images. The EYRINA is currently in version 3, but we are working very hard on version 4, which will already be fully automatic. Together at our booth there was presented the solution of the Institute of Biomedical Engineering of FEEC BUT. We have established new contacts and successfully represented our alma mater. Biometrics includes many interesting topics. We focus mainly, but not only, at fingerprints. 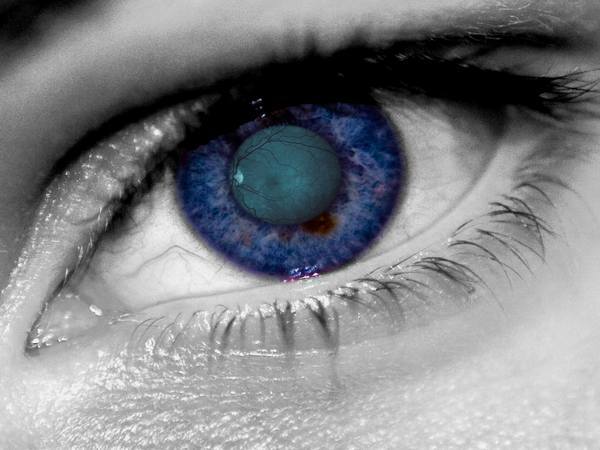 Other topics we deal with belong the iris and retina recognition and recognition based on 3D scans of face or hand. 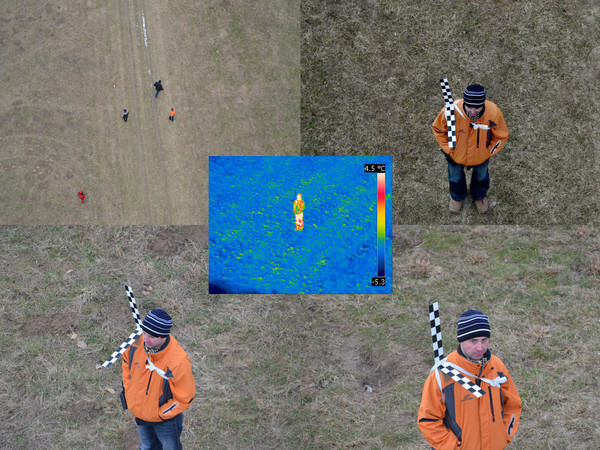 A big part of our research is focused at liveness detection and sensor quality analysis. Biomedical applications are very closely related to the biometric systems. The biggest emphasis in STRaDe is put on detection and recognition of skin diseases on fingers and retina diseases. These areas are important for us, since they are part of biometric technologies we are dealing currently with. Robotics has not been our main focus. However, we needed a platform to present and proove functionality of our computer vision algorithms and we applied for a robotic grant then, hence we accepted very challenging task to create our own platform, which would be useful for rescue teams of all sorts. Result of this is our robotic unit RUDA. Computer vision is very tightly related to biometric systems, since you need to acquire an image from a camera system to get biometric features in most cases. Even the basic principles of data processing are very similar to algorithms and techniques of the computer vision. Biometry is our main topic and we are very experienced team in this area. We have started with biometry in 2000, when our current leaders Doc. Drahanský and Dr. Orság were working on their diploma thesis aimed at fingerprints and voice recognition. When we established our research group STRaDe in 2004, we increased count of our BSc and MSc students together with count of topics we were dealing with. Later, after Doc. Drahanský's conferment of the associate professor degree, we further broadened range of our research areas especially the biometrical ones. At the beginning it was the fingerprints and voice that directed our progress. Later we left the voice technologies and aimed at other interesting topics like liveness detection (especially fingerprint liveness detection), 3D face recognition, 3D hand recognition, hand and finger veins recognition, spoof detection, fake fingerprints production, and, nowadays, iris and retina recognition. A brand new topic in this area of interest is EEG. We aim at impact of various diseases on the recognition of biometrics (before all of fingerprints and eyes). Part of our research is not only design and implementation of algorithms, but even collection of our own databases for research purposes and design and construction of hardware for biometric systems. In our group we have many experiences with projects, testing of biometric systems (e.g. for Czech National Security Authority). We are even experienced with translation of biometric standards ISO/IEC and comments on working drafts (WD - Working Draft) of biometric standards. Biomedical applications are very closely related to the biometric systems. We have began dealing with biomedical applications in 2012. In this year we took part in a project ICRC (International Clinical Research Centre) in a BME platform, which was part of the St. Ann's Faculty Hospital . This project finished in 2015, but we liked the ideas we were dealing with so much, that we decided to continue in this field. Part of our biomedical work are, for example: an application for processing and analysis of echocardiograms (speckle tracking), detection and measurement of size of hematoma for Android smartphones and an application for AHEAD database (heart disease records database) processing. The biggest emphasis in STRaDe is put on detection and recognition of skin diseases on fingers and retina diseases. These areas are important for us, since they are part of biometric technologies we are dealing currently with. For our research purposes in these areas we have created our own databases of images of various skin and eye diseases. Our interest in robotics has started in 2005. In this year we started dealing with (intelligent) sensors, which are used in biometrics. Sensory systems are related to the security in IT, too, by connecting wireless sensory systems with biometric authentication. From the sensors it is relatively close to robotics. We have started with robotics in 2009. We developed our own minisumo robots then (mechatronics, hardware, electronics and software). After our success with the minisumo robots we started thinking about something bigger. We decided to construct our own mobile robotic platform big enough to take care of various scenarios. 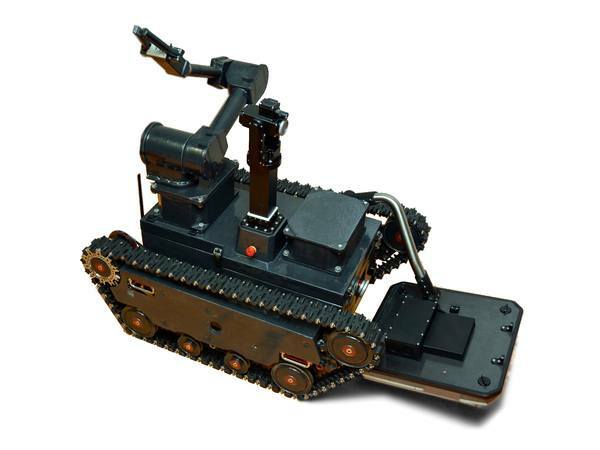 The exact shape, feature set and parameters of the robot were given by our successful application to a grant from the Ministry of Interior of the Czech Republic - Robot for search of human beings in crushes and avalanches. The robotic platform we wanted to design aimed at rescuing people, which sort of forced us to make various decisions about the final design of the platform. The robot can be used to help rescue teams, as it is even able to detect people behind obstacles. We successfully defended the project in 2014 and called the robot RUDA (Robotic Unit for search of human beings in Debris and Avalanches). Since then RUDA has been awarded golden medal for the best exhibits of the 57th International Engineering Fair in Brno. Nowadays, robotics is not our primary area of interest. We are maintaining RUDA, students are working with it, but our limited funds made us stop working further on it. Computer vision is very tightly related to biometric systems, since you need to acquire an image from a camera to get biometric features, in most cases. Even the basic principles of data processing are very similar to the algorithms and techniques of the computer vision. The biggest progress we achieved during our work on projects granted by Ministry of Industry and Trade of the Czech Republic (Research and development of technologies for intelligent optical surveillance system) and Ministry of Interior of the Czech Republic (Tools and Methods for Video and Image Processing for the Fight against Terrorism), results of which is a number of products. One of the most important product is a surveillance camera system sAOTS with ability to track objects up to 8 km away. sAOTS consists of a camera placed on a military pan/tilt manipulator, which is mounted on a robust stand with a powerful built-in computer system allowing for GPGPU computations. Part of the solution is even a large set of algorithms for object tracking (with a solution for complete and partial occlusions included), image stabilization, detection and recognition of objects (i.e. weapons, faces), anonymization of specified objects, 3D data processing and more. 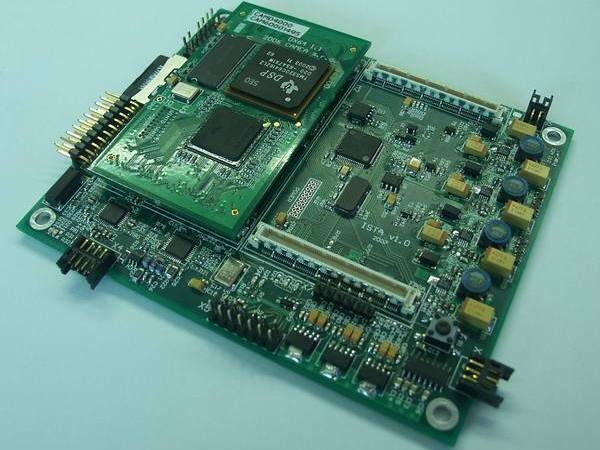 In the field of hardware development for computer vision we can offer experiences with camera system construction and PCB design with a DSP and FPGA for PAL/NTSC or digital FullHD systems, too. Our research of the liveness detection aims at biometric technologies based on the fingerprints, finger or hand veins, face and eye. In this field we registered a few patents and utility models. Research of the eye diseases recognition is aimed at recognition of symptoms of various eye diseases in an image of iris and retina, where are the symptoms to be recognised best. In 2008 we started dealing with issues of influence of various finger skin diseases on the fingerprint recognition process. To improve our knowledge and to base it on reliable information, especially from the medical point of view, we made fingerprint skin diseases our common cause with the dermatologists from St. Anne's University Hospital Brno, University Hospital Olomouc and a private dermatological clinic in Darmstadt (Germany). Research and creation of fingerprint spoofs for testing liveness detectors and used fingerprint sensors. New methods of specific damage of synthetic fingerprints and their usage. We have started research of the liveness detection in 2002, when the first solution of the liveness detection of the fingerprint was patented in cooperation with Fraunhofer Gesellschaft IGD in Germany. Since then we have developed many new solutions not only for liveness detection of fingers, but even for detection of fake fingers (we have use of large amount of materials and colours, which are easy to combine and test robustness of various technologies). In this field we registered a few patents and utility models. In the last few years we have aimed at liveness detection of other biometric technologies, too. Specifically, we focused on finger or hand veins, 2D/3D/thermal face and eye liveness detection, because these technologies are up to date and are experiencing growth in popularity and importance. In these topics we have reached very interesting results, which are, before all, able to deceive up to date commercial technologies. Simultaneously with foisting fakes on the available devices we are working on solution for detection of such fakes. Dissertation (in progress): Zařízení pro snímání sítnice a duhovky oka (Hájek Josef). Macek Ján: Klasifikace a rozpoznávání patologických nálezů v obrazech sítnice oka, diplomová práce, 2016. Maruniak Lukáš: Software pro biometrické rozpoznávání duhovky lidského oka, diplomová práce, 2015. Drahanský Martin, Kolář Radim a Mňuk Tomáš: Elektronické zařízení pro snímání obrazu sítnice a duhovky oka, Česká a slovenská oftalmologie. 2015, roč. 71, č. 6, s. 302-308. ISSN 1211-9059. Hájek Josef, Drahanský Martin, Kolář Radim, Odstrčilík Jan a Borovský Ján: Bimodal eye imaging system, In: Signal-Image Technology and Internet-Based Systems. Bangkok: Institute of Electrical and Electronics Engineers, 2015, s. 572-575. ISBN 978-1-4673-9721-6. 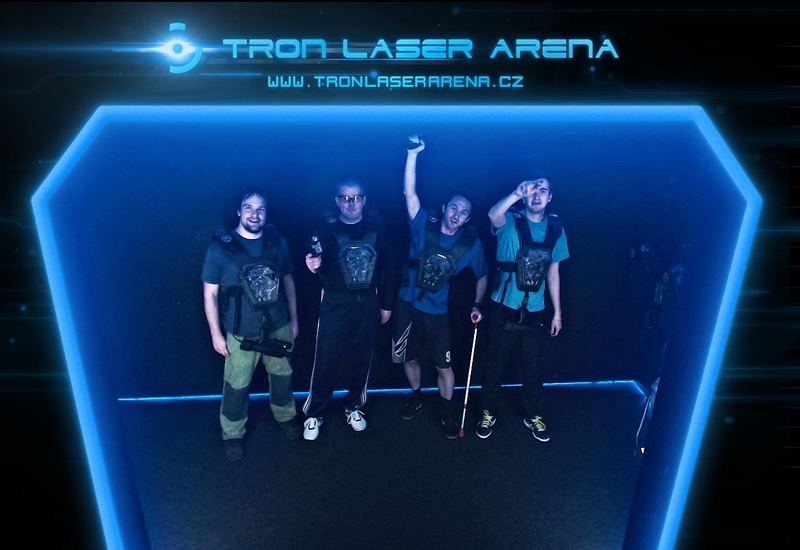 KOLÁŘ Radim, SEMERÁD Lukáš, DRAHANSKÝ Martin, ODSTRČILÍK Jan, HÁJEK Josef a BOROVSKÝ Ján. Bimodal Eye Imaging System for Biometric and Medical Applications. In: Security and Protection of Information 2015. Brno: Universita Obrany v Brně, 2015, s. 83-95. ISBN 978-80-7231-997-8. SEMERÁD Lukáš a DRAHANSKÝ Martin. Biometric entropy of retina. In: Proceedings of Information and Digital Technologies 2015. Žilina: Žilinská univerzita v Žiline, 2015, s. 291-293. ISBN 978-1-4673-7185-8. Doležel Michal, Drahanský Martin: Software pro extrakci příznaků z žilního řečiště sítnice oka za účelem biometrického rozpoznávání osob, 2014. HÁJEK Josef, DOLEŽEL Michal a DRAHANSKÝ Martin. Biometric device for retina and iris recognition in intelligent houses. In: Beiträge zum Usability Day XII Assistenztechnik für betreutes Wohnen. Dornbirn: Fachhochschule Vorarlberg, 2014, s. 143-147. ISBN 978-3-89967-943-4. HÁJEK Josef, DRAHANSKÝ Martin a KOLÁŘ Radim. Experimental ophthalmic multimodal imaging system for iris and retina. In: Proceedings of IIAI 3rd International Conference on Advanced Applied Informatics. Kitakyushu: IEEE Computer Society, 2014, s. 676-679. ISBN 978-1-4799-4174-2. Drahanský Martin, Provazník Ivo, Kolář Radim, Hájek Josef: Zařízení pro snímání a rozpoznávání duhovky a sítnice oka, funkční vzorek, 2013. 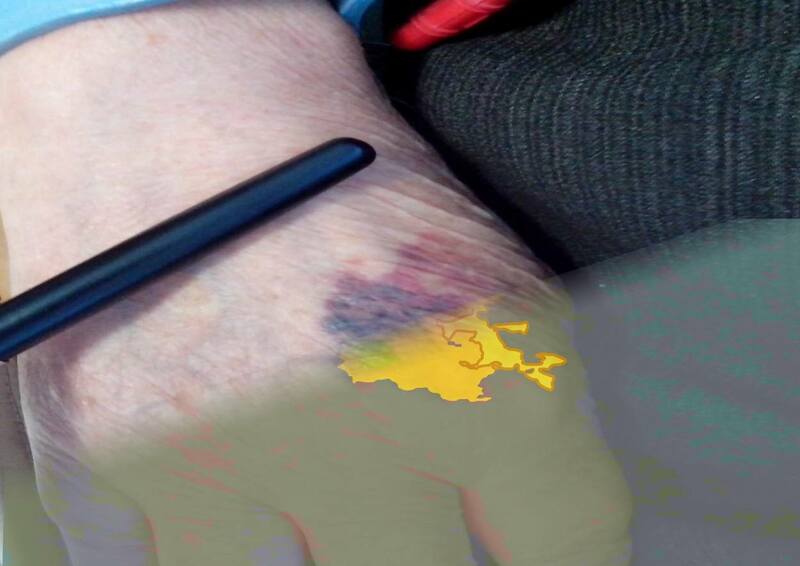 Mezinárodní patent: Oftalmické diagnostické zařízení a metoda jeho provozu, 2013. Národní patent: Oftalmologické diagnostické zařízení a způsob jeho činnosti, 2013. Užitný vzor: Oftalické diagnostické zařízení, 2013. HÁJEK Josef, DRAHANSKÝ Martin a DROZD Radek. Extraction of Retina Features Based on Position of the Blood Vessel Bifurcation. Journal of Medical Research and Development. Hong Kong: 2013, roč. 2, č. 3, s. 55-59. ISSN 2303-9345. In 2008 we started dealing with issues of influence of various finger skin diseases on the fingerprint recognition process. To improve our knowledge and to base it on reliable information, especially from the medical point of view, we made fingerprint skin diseases our common cause with the dermatologists from St. Anne's University Hospital Brno, University Hospital Olomouc and a private dermatological clinic in Darmstadt (Germany). We succeeded in classify skin diseases into three elementary classes in relation to their influence on the fingerprint images. We captured an image database of fingerprints influenced by various skin diseases using a contactless scanner TBS, a swipe, capacitive sensor EIKON and an optical sensor Sagem. Except for that, we captured a microscopic image of every finger to get a real image of the fingertip. On this database we based our research of detection, recognition (important part for the dermatologists) and elimination of the impacts on image (if possible) of the diseases. Simultaneously with research in liveness detection has to be research and creation of fingerprint spoofs. They are used for finding weak spots of liveness detectors. 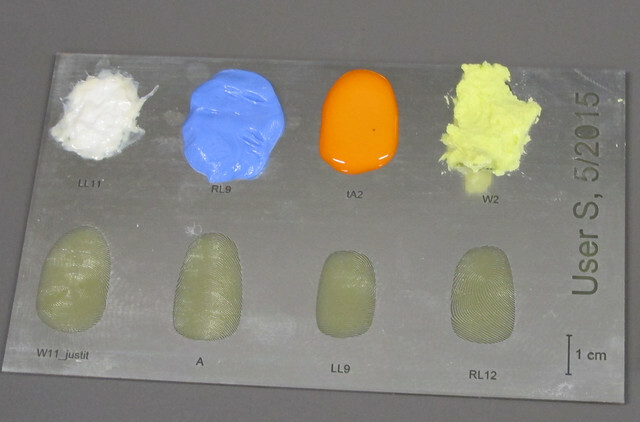 In our laboratory we used more than 30 materials for fingerprint spoofs creation. Quality of these spoofs is tested on existing sensors, mobile devices, new methods of liveness detection and consulted with Police of Czech Republic. Nowadays it is possible to generate whole databases of synthetic (generated by software) fingerprints. These fingerprints have advantage that they are not connected to specific person. Thanks to that databases of these fingerprints can be easily copied and used. Practical usage of synthetic fingerprint databases is in testing, learning and design of algorithms. Specific damages (i.e. by disease) can be used for teaching of medics or forensic experts. Aplikace a programová knihovna umožňující zpracování a analýzu echokardiografických medicínských záznamů. Aplikace k nalezení žilního řečiště, detekci žil a extrakci příznaků. Automatic number plate recognition software, which implements principles from field of artificial intelligence, machine vision and neural networks. 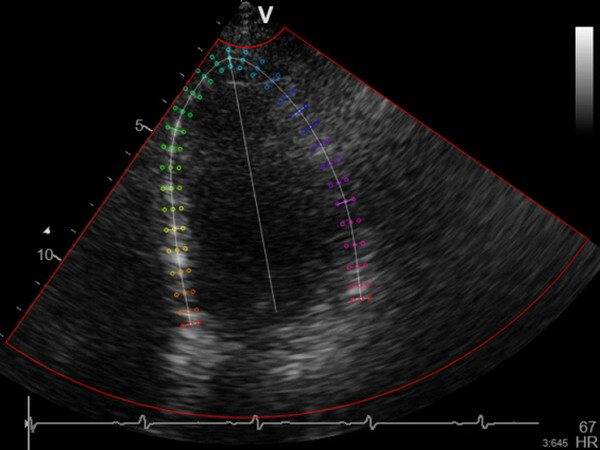 Application and library for processing and analysis of echocardiographic records. 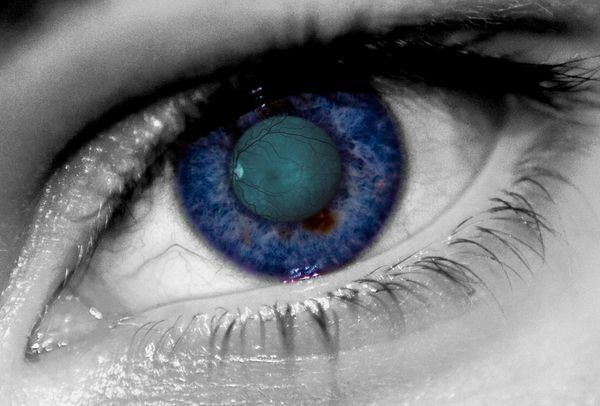 This software application could be used for processing of eye retina images. 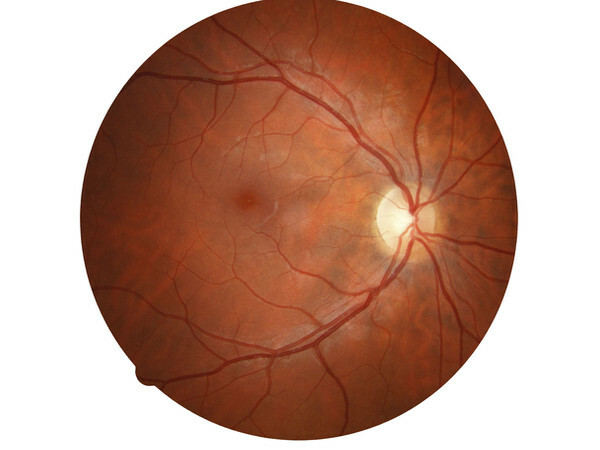 In the image of eye retina, there is searched for vein pattern, the veins are detected and the features are extracted for the generation of a biometric template, which could be used for recognition of people on the basis of their eye retina vein pattern. This application allows its user to select and track objects in video and to modify their appereance. Video is processed using FFmpeg library. Objects are being tracked by the built-in object tracking algorithms. 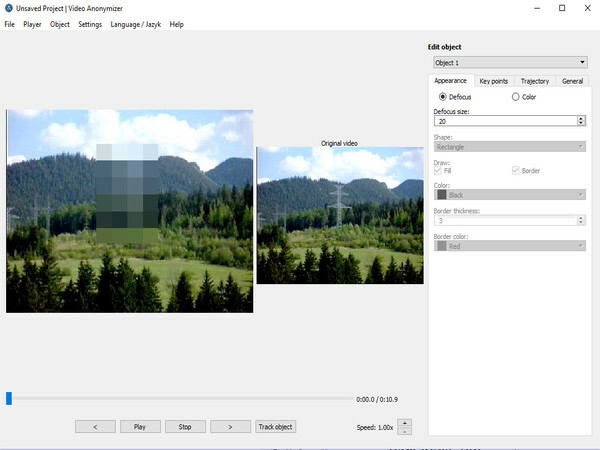 User is allowed to modify trajectory of the object and to change type of anonymization (blur, color). GUI is multilingual and created using Qt framework. The application generates a series of images based on a provided 3D model and settings in config-file. This allows for the generation of datasets needed in machine learning classifier training. For the purpose of the generation it is possible to set the position of the model, specify the range of angles in which the images will be generated and specifiy the intensity and position of the illumination. Compact solution, externally controlled by the computing system. High accuracy of the pan/tilt position, wide range of speeds. Built-in high performance workstation computer based on modern Intel Core i7 CPU with 64 GB RAM. Video tracking software with semi autonomous operation, optimized for control by touch displays and joypad. 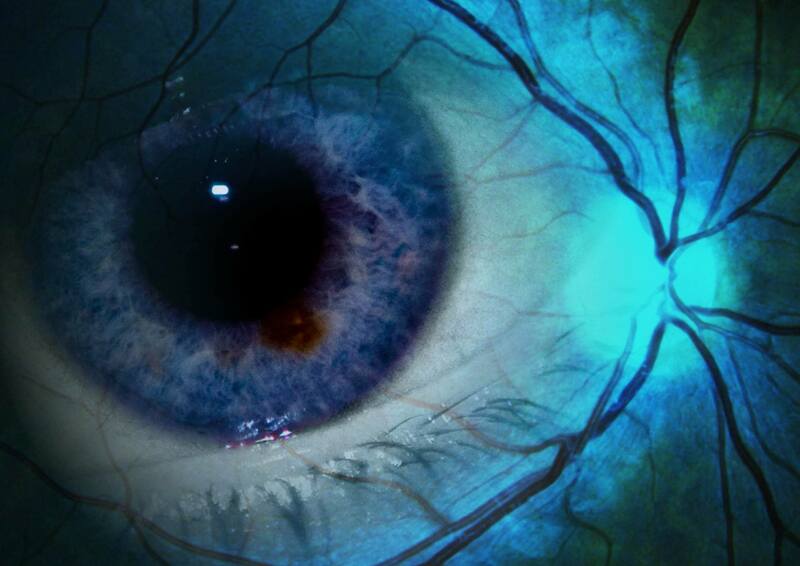 The device is able to scan eye iris and retina simultaneously. 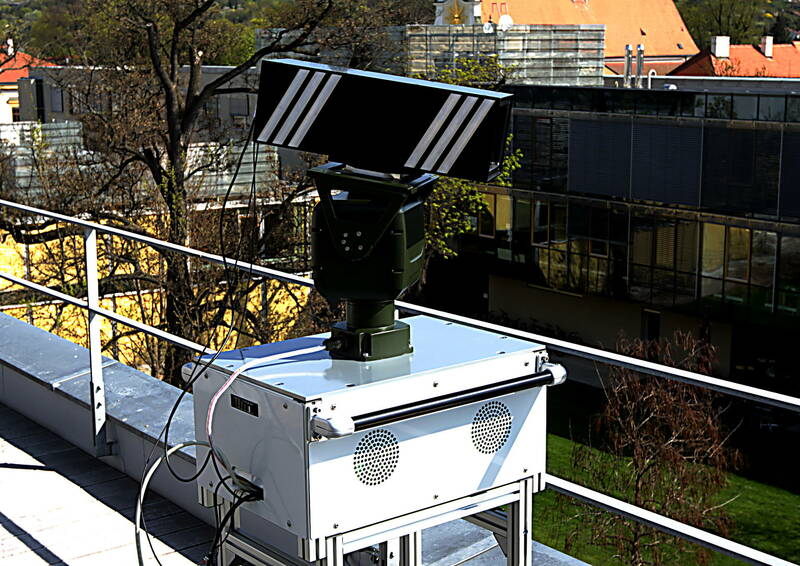 It is based on an optical system, camera system and special positioning platform inside the device. The device is small and compact in comparison to medical devices. User can acquire still images and/or video. Eye based device can be mounted on a wall to an area with restricted access. After acquirement of images of eye iris and retina in an appropriate resolution, image (pre)processing and extraction of biometric features starts. Quality of acquired images can be lower, because only rough information is needed. When the eye iris and retina are scanned with a very high quality, the device is suitable for the ophthalmologic medical area. The ophthalmologic medical device is offered as a standalone device, which will be positioned on a table. It will enable a medical doctor to scan eye iris and retina using device. Moreover, functionality of the device can be further extended. The device comes with software based on an expert system that will assist the medical doctor to make a diagnosis and to recognize an illness in the eye. One of the features makes it possible to teach the expert system new diseases so that the device recognizes the given disease automatically next time. The patient data can be stored and checked against new images, i.e. it will be possible to determine the disease progress. Device for the 3D reconstruction is based on structured light generated by 4 green 10 mW lasers with a wavelength of 532 nm, two 2D diffracon grangs with 1000 slits/mm, 3 green LED diodes, imaging device made of CCD camera connected via USB, 7.5 V DC power, camera resoluon: 1280 x 800 px, control software for OS Linux (portable), size: 380 x 185 x 380 mm. 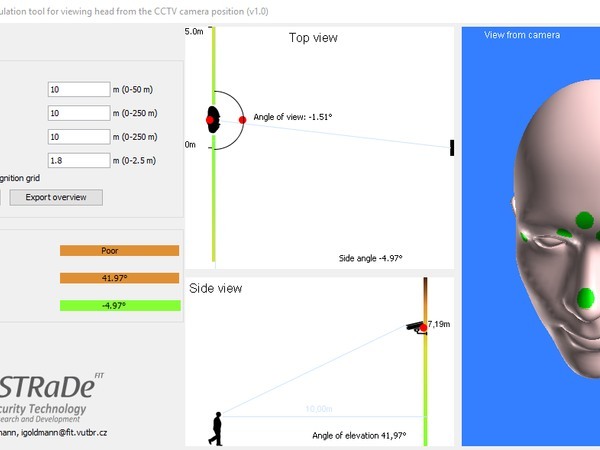 The 3D geometry based recognition is a new approach to the person idenficaon. 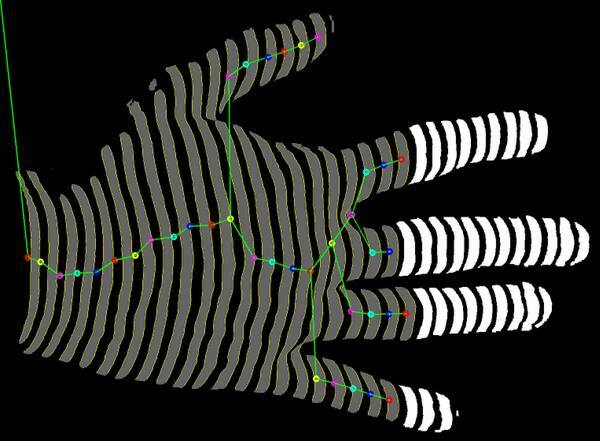 The system is capable to capture 2D hand shape and to reconstruct 3D hand surface from the 2D images. In the device there are used up-to-date technologies and principles together with our own algorithms. For testing purposes we created a database of hand images. The device is made of a precise semi-circular metalic construction with a mobile camera carrier. The carrier is electronically controlled and is able to carry various devices. For the purposes of face recognition, there are three cameras available. 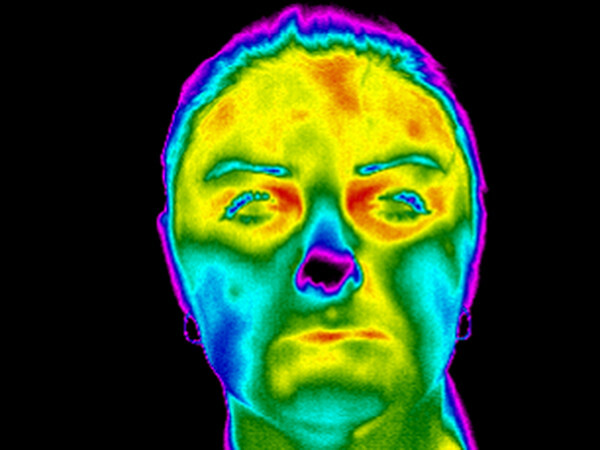 Intel 3D camera is used for depth mapping to create the 3D model of the head, FLIR thermocamera provides thermal images for thermal texture and a simple USB optical camera for visual texture. The device provides 3D depth map, visual texture and a thermal texture paired with information about position. Together, this information is used for a 3D model construction of the head. 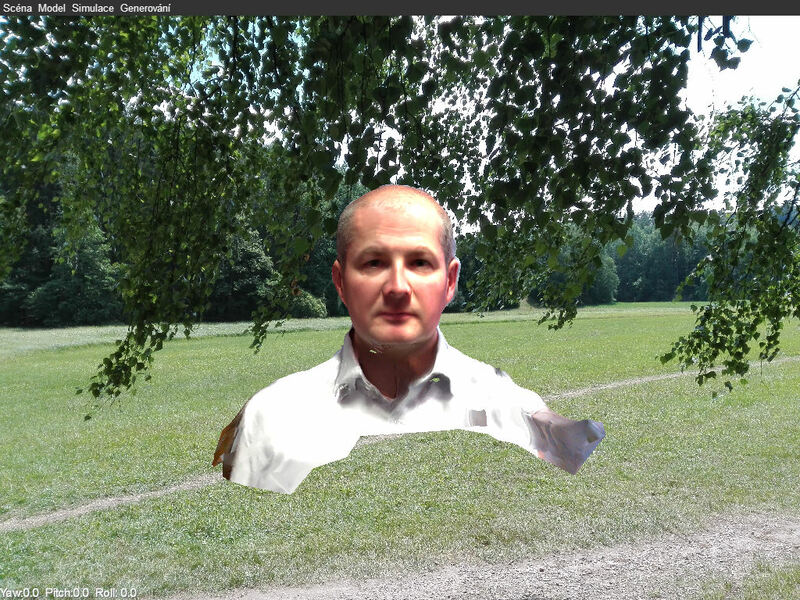 Our software provides thermal face recognition, visual face recognition and mapping of the images to the 3D model. This solution is a superior mean of visual identification for access control or crime investigation as it provides possibility to identify person from various angles. 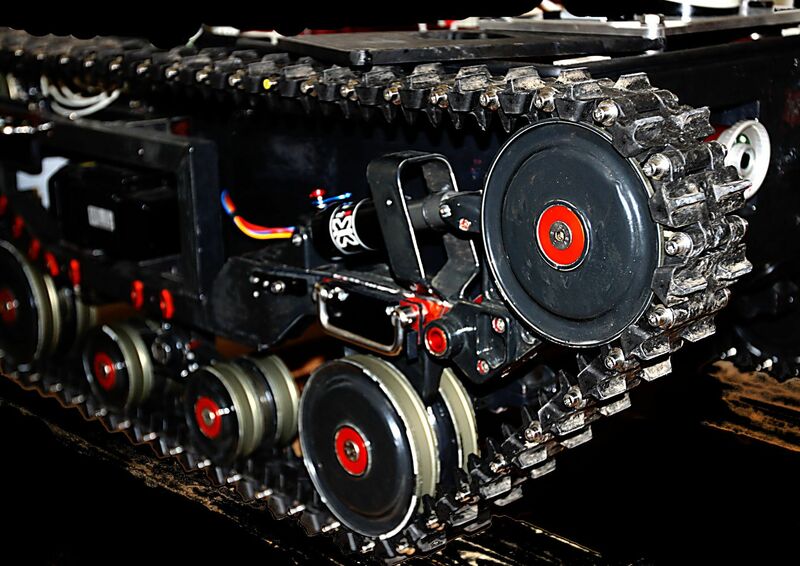 Minisumo is a robotic platform for the mini-sumo robotic challenge. 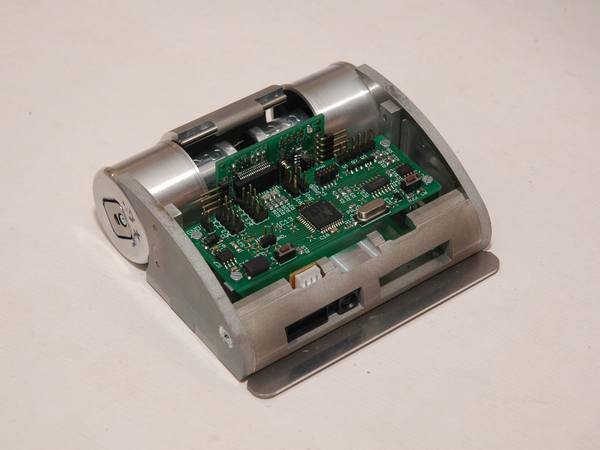 It is a differential wheeled robot, fully programmable with a JTAG/SW and RS232/ZigBee modules. The robot is controlled by a 32bit MCU ARM Cortex M3 CPU, driven by two 2 W DC motors A-Max16 with GS 16A gear rated at 150 mNm/67 mNm, speed 0.797 m/s. Localization and sensing is achieved by IR sensors, 3 axes acceleromeneters and optical triangulation sensors. Dimensions: 10 x 10 cm, 422 g.
FPGA Xilinx Virtex5, DSP TI daVinci TMS320 DM6467, 256 MB on-board DDR2 RAM. Ethernet 100/1000 Mbit, serial port, USB host/device, CAN bus, GPIO. Digital or analogue video input/output, customizable signal input/output. 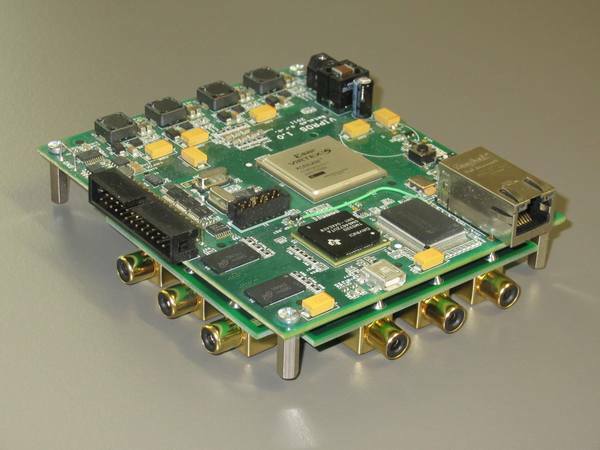 Real-time video processing board. Input Extensibility by add-on boards. Stand-alone, plug-in solution. Fanless design. 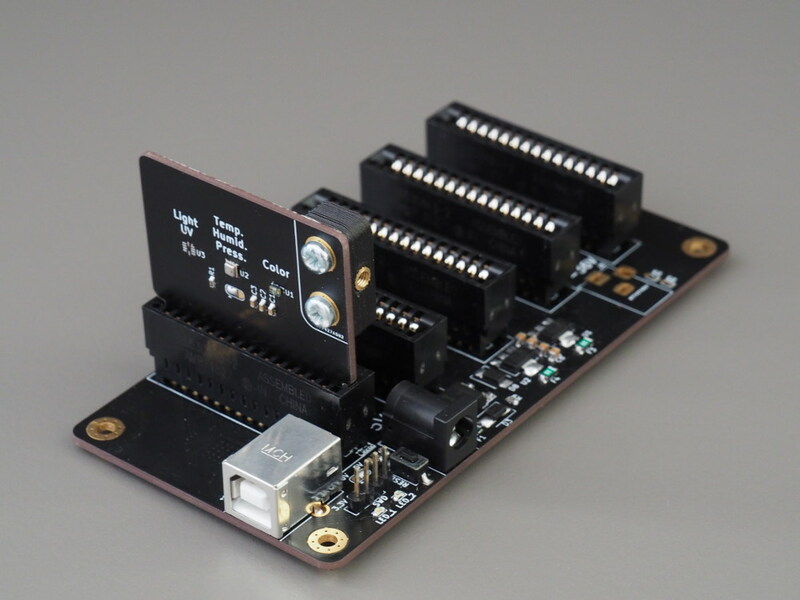 PC104 factor form board with DSP and FPGA processing modules and onboard DDR RAM. Analogue input decoding PAL/NTSC standards with ability to process video in real time. User defined I/O ports, RS-232 based communication, accelerometer. Plug-in solution with video stabilization algorithm for analogue video ready on board. Modular system for acquiring data from various types of sensors. The motherboard has expansion slots used to accommodate module boards equipped with sensors. Operation of the system is controlled by a low-power microcontroller. The main purpose of the system is sensor-data acquisition on a drone, whose batteries can be used to power the device. For instance, one of the modules could measure data about weather, such as: temperature, humidity, pressure, infra-red radiation, UV index etc. The data can then be either transferred to a computer or stored locally. Martin began his research activities in 2000 in a year project oriented on fingerprint processing. Furthermore, his MSc. thesis was devoted to the comparison of fingerprints and biometric templates compression. In 2001 he graduated at the Faculty of Electrical Engineering and Computer Science BUT and simultaneously at the Faculty of Electrical Engineering Fernuniversität in Hagen (Germany). His Ph.D. thesis was focused on generating cryptographic keys from fingerprints, which he defended in 2005 at the Faculty of Information Technology BUT. In 2009, Martin successfully defended his habilitation - his thesis covered again various topics in the field of fingerprints. In 2017 he was promoted to a full professor. Martin worked from 2002 to 2005 at the University of Siegen, Institute of Measurement Technology (Germany) and also collaborated with the Fraunhofer Gesellschaft IGD in Darmstadt (Germany). In 2014, he went on sabbatical to the Tokyo Institute of Technology (Japan) for half a year. In recent years, he is focusing on areas related with biometric systems - processing of image and video, sensory systems (incl. robotics) and IT security. Finally, it is worth to mention his leisure activities - judo, mountain bike, ferratas, fitness and mineralogy + entomology. Filip has been studying at BUT since 1996. In 2001 he graduated at the Faculty of Electrical Engineering and Computer Science. During the MSc study he spent one year in Germany studying and finishing his diploma thesis at the Fachhochschule Wiesbaden. Then, he decided to go in in the academic career and started his Ph.D. studies, which he had finished in 2004. After that he decided for the academic career and successfully applied for an assistant professor position at BUT. Since Filip's master studies he has been interested in artificial intelligence. In the field of biometry he started with research in the area of speech recognition and later speaker recognition, too. In 2009 he co-funded together with Martin research group STRaDe and obtained grant aimed at computer vision and later another grant aimed at robotics. 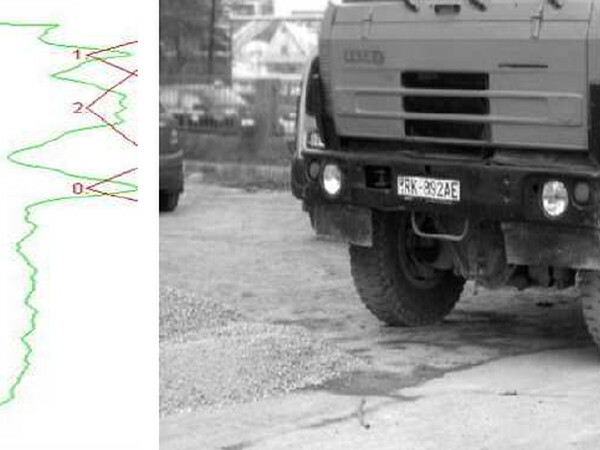 These events changed goals and field of Filip's research areas from speech to applied artificial intelligence mainly in the field of computer vision result of which are semi-autonomous optical tracking system sAOTS and robot RUDA. Tomas has been studying at BUT since 2010. After he graduated he decided to continue with post graduate study under the leadership of Martin. 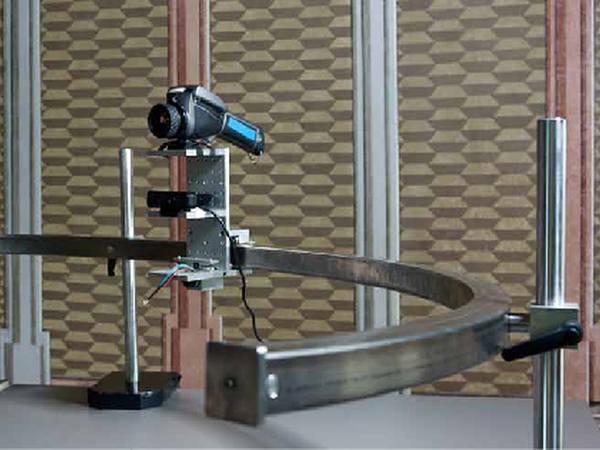 In the field of biometry he started the research which is focused on people identification from a video. His bachelor's thesis was on the topic of tracking Perimeter Monitoring and Intrusion Detection Based on Camera Surveillance. His other interests include artificial intelligence, low-level programming and parallel computing. In the year 2016 he was researching dependency of the head position on the face detection. Sangeeta Biswas started her carrier as a lecturer in the Millennium University, Bangladesh in 2007. In 2010 she joined University of Rajshahi (RU), Bangladesh as a lecturer. From 2008 to 2014, she worked with Prof. Koichi Shinoda in Tokyo Institute of Technology (TokyoTech), Japan, on speaker recognition. In 2015, she became an assistant professor of RU. She secured her Ph.D. degree in 2016 from TokyoTech. She joined STRaDe as a researcher in June, 2018. Currently she is working on deep learning for diabetic retinopathy. Radim finished studies at FAST BUT in 2000. 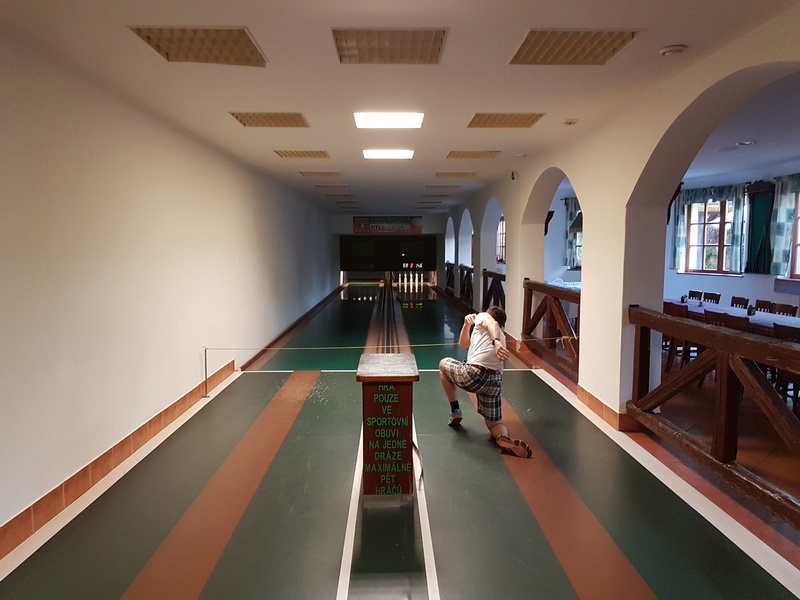 After completing his studies he worked in several companies and in 2006 he joined the police ranks where he is the forensic expert and coordinator of the dactyloscopy for three regions in Czech Republic. From 2018 he is a student of a doctoral study program at FIT BUT. He professionally focuses on fingerprint technology. Mona joined BUT in 2016. Her research interests are biometrics, machine learning and deep learning. She started to work in biometrics by analyzing diseases and other influences affecting fingerprints. Currently, as a part of the STRaDe team, she is working on the tools and computational/measurement framework to accurately detect, localize and recognize diseases in fingerprints. Michal is a BUT student since late 2010. During bachelor and master’s program he became interested in developing camera systems and computer vision. He now explores the possible uses of his interests in the field of biometrics. Martin is a Ph.D. student since 2018. Since his master's studies he tries to bring intelligence into intelligent systems. He has been involved in the development of the home-based system and is now focusing on data analysis and searching for other sources of information. Lukáš has been an assistant at BUT FIT since 2014. Since Lukáš's bachelor studies he has been interested in artificial intelligence. In the field of biometry he started with research in the area of eye retina and iris recognition. He interensts about retina segmentation. Jan has been studying at FIT BUT since 2012 and has earned both his bachelor’s and master’s degrees here. In his dissertations he focused on augmented and virtual reality. Jan joined STRaDe in autumn of 2018. Currently, he is exploring the area of brain-computer interfaces in which he’d like to incorporate his deep interests in psychology and artificial intelligence while staying in the field he’s already familiar with. Dominik has become STRaDe member in 2008 when he started working in area of hardware security. 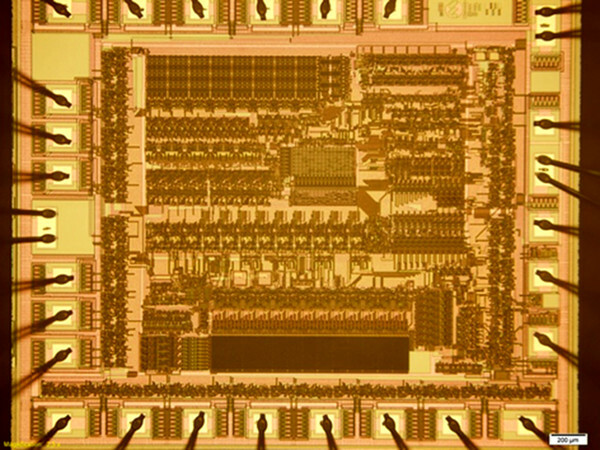 Nowadays, he is mainly targeting at finishing his dissertation thesis with focus on hardware analysis of microchips. 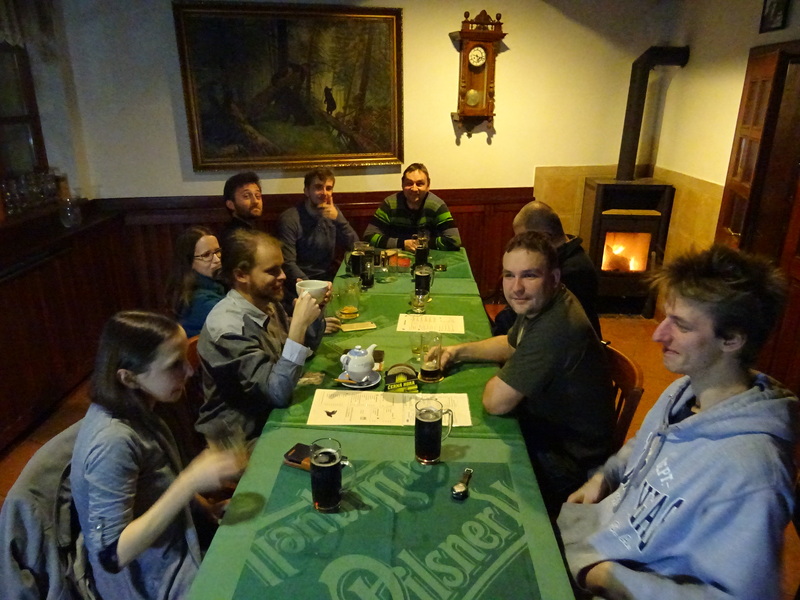 Ondřej has been assistant at BUT FIT since 2014, when he joined research group STRADE. His areas of interest are biometrics and artificial intelligence. In his research work he focuses mainly to fingerprints. While it is hard to believe, some of us not only hadn't owned any firearms but had also never held one in their hands. 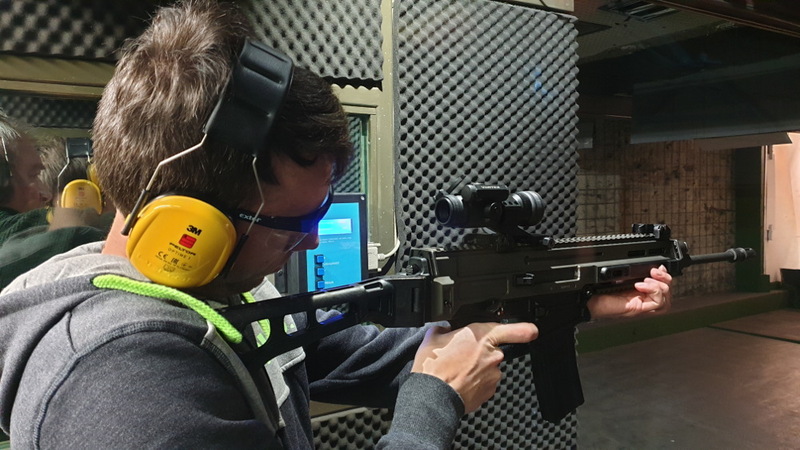 We needed to remedy that, which is why all the enthusiasts headed off to a shooting range to be embraced by the smell of gunpowder and some serious rumble, source of which could everyone choose to their liking. One of the activities that most of us like to do are board games. 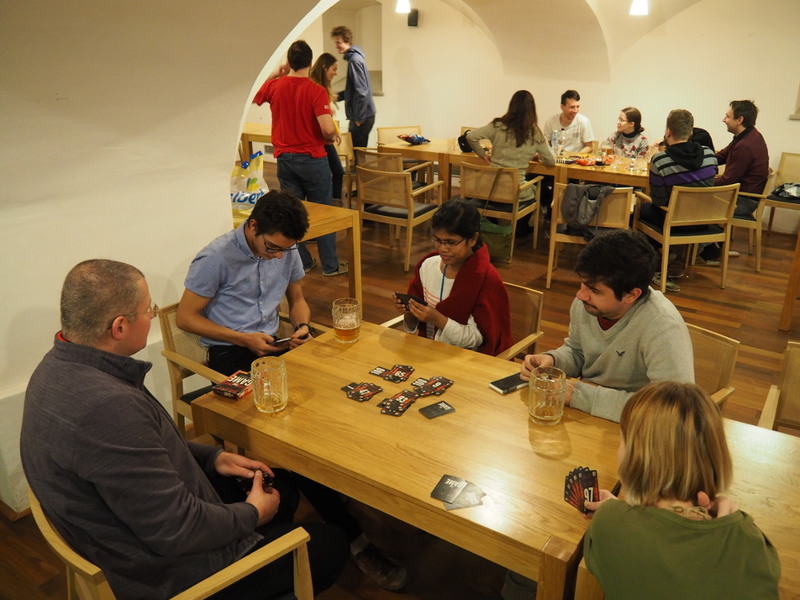 That's why we decided to organize board games with friends in the cozy premises of the former student club. We ordered a meal that we could enjoy with a varied selection of drinks, even those of us who did not play any game at all. We played games only at the end of the event, the beginning and the middle was more oriented on discussion. After a long winter we decided there is nothing better than to get ourselves warm with a healthy exercise. That's why we again decided for running around frantically in a dark room while shooting lasers at each other with aggressive music and the flashing light of our vests enhancing the atmosphere. Not a single T-shirt stayed dry. We gathered before Christmas so we could celebrate the end of the year together and say bye to each other before many of us travel home. We met at a pub in a cozy room with a fireplace, ate delicious food drank delicious drinks and, to help with the entertainment, we brought our favourite board games. 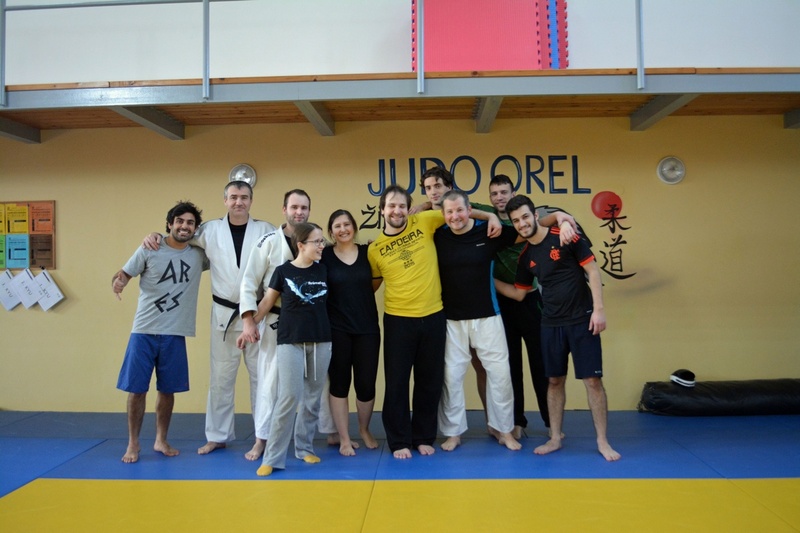 Due to the previous success of the self-defense training, we went again to Židlochovice, where we learned from three experienced instructors the other bases of self defense. We learned how to defeat an attacker from various positions, including a knife attack. However, the most important finding is that it is the best to escape if the situation permits it. The second place is a crotch strike and then comes a series of self defense elements. 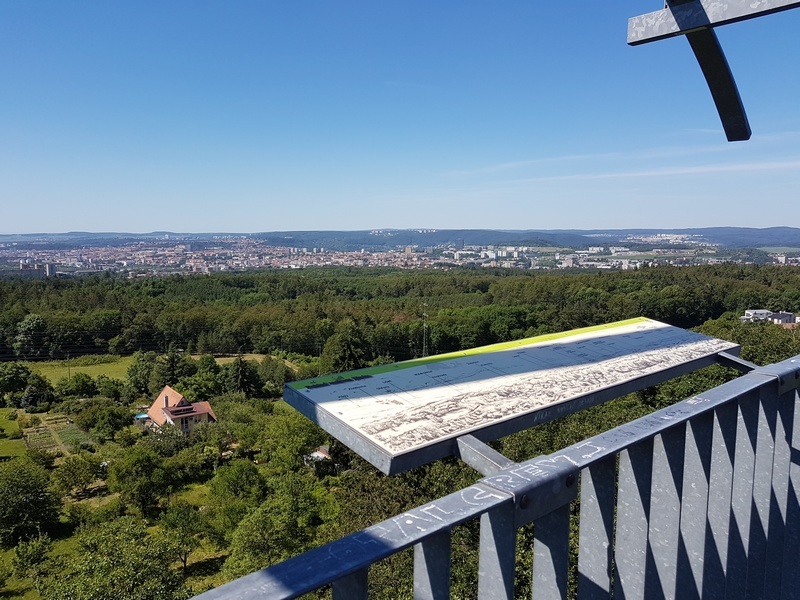 On Friday in the morning we went to a short hike to the watchtower in Sobešice. We used the way through shaggy footpaths, along the Rabbit creek (Zaječí potok) till the watchtower "Ostrá horka". On the way we found one geocash. The trip was successful - we returned back without any tick on our bodies. 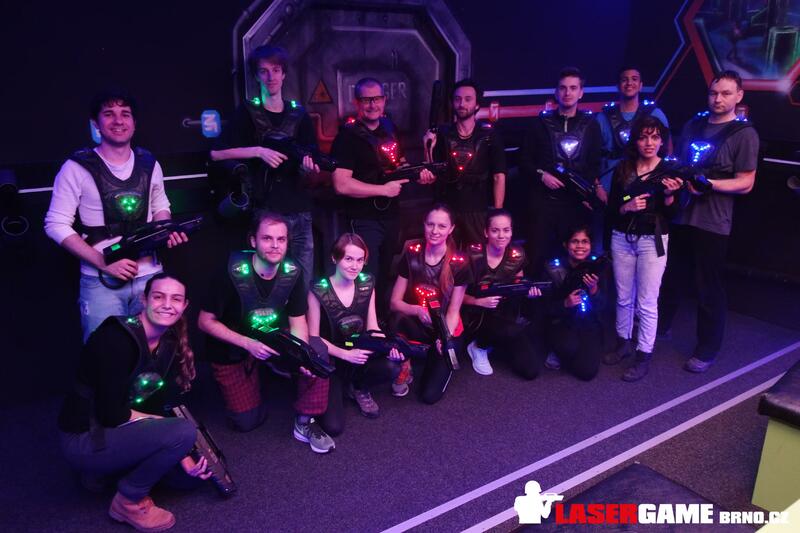 We decided to run in a dark and foggy room and shoot at each other using laser beams. And how successful we were. Some of us looked like a zombie , however we exchanged a lot of hits. Let's say three times "hi" to the laser with wavelength 650 nm!